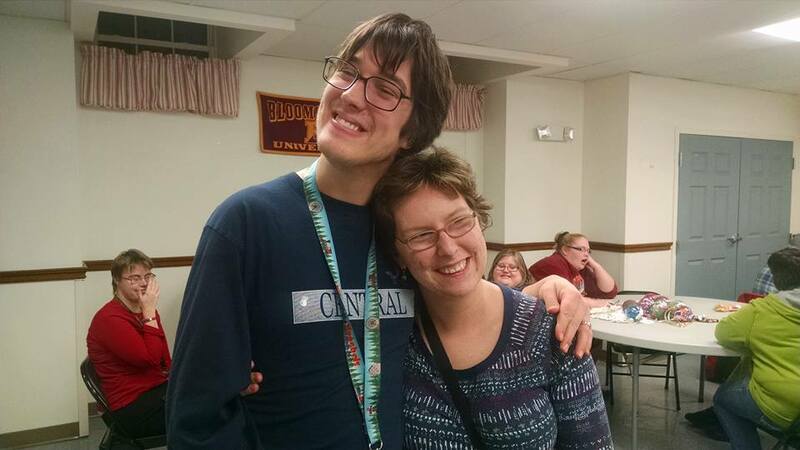 Regular AMPES is a weekly drop-in program offered through The Arc, Susquehanna Valley. It is offered in six locations throughout our five-county coverage area and is designed for persons with intellectual and/or developmental disabilities (self-advocates). This once-a-week program offers crafts, recreational activities, light snacks, life-skills and socialization training. Every self-advocate will be able to interact with others in order to sharpen their social skills and skills associated with daily living. The AMPES Program is open to all individuals age 12 and up (except for the 50 & Fun Group). This includes people of all skill levels and those who are not labeled “disabled” as well. Everyone who comes is expected to participate in the activities. If a disabled person needs individual caregiver attention, it is expected that a caregiver will accompany him/her and stay in the room. Caregivers are also welcome to join in the activities at any time. The “50 and Fun AMPES” program is a weekly drop-in program offered in Bloomsburg. This once-a-week program offers meaningful activities in arts and recreation, employment, life-skills and socialization training. The program also offers this in a casual environment with light snacks and conversation. Every self-advocate will be able to interact with others to sharpen their social skills and skills associated with daily living. This program will serve individuals over the age of 49. If a disabled person needs individual caregiver attention, it is expected that a caregiver will accompany him/her and stay in the room. Caregivers are also welcome to join in the activities at any time. Note: persons under age 49 who are determined as an appropriate match for the program may also be part of the group. AMPES is designed to run in the evening, at a scheduled time depending on which site you choose. Participants can come and leave when they want. Self-advocates and their caregivers are responsible for themselves, the coordinator is NOT responsible to pursue anyone who leaves early. All activities will be held at the program site (see table above). The group will never be taken offsite unless a planned activity has been pre-arranged. Cost Both disabled and non-disabled participants are asked for a co-pay of $2.00 each night to help cover the costs of the Program. Everyone is expected to pay $2.00 except for caregivers who are required to accompany a Self-Advocate, and the two designated volunteers for the night. The coordinator is assisted by two volunteers each week. The Designated Volunteer is a caregiver or other friend of the AMPES Program who commits to attend the Program on his/her designated date. He/she is asked to participate in the activities and help as needed. The Designated Assistant is a developmentally disabled person who volunteers for the evening. His/her duty is to help the coordinator with the activities planned for the evening. Ideally, there are 13 people recruited for each of these positions. The volunteers each commit to be present four times per year. If you would like to be part of this cycle of volunteers, please speak to your coordinator. For medical situations: Each site has a first aid kit available. Coordinators are responsible to give very basic first aid. If additional medical attention is needed, coordinator may need to call 911 for assistance. For behavioral problems: Self-advocates AND caregivers are responsible for behavior issues. Self-advocates who attend unescorted and exhibit unacceptable behavior may be asked to leave. In cases of endangerment to self or others, coordinator reserves the right to call 911 for assistance. When a participant is repeatedly disruptive at the program, the coordinator will consult with a caregiver and the Executive Director about the situation. A caregiver may be required to attend with the participant, or the participant may be asked NOT to return. AMPES coordinator cannot transport participants as a part of this program. Coordinator may transport people who have been invited to do presentations at the program. Coordinator will maintain contact information on each self-advocate who attends the program (including name, address, phone number, birth date, and caregiver names). The information will be used as needed and will be given to The Arc office to add to a database for newsletter mailings.